The high energy disc centrifuge model SC consists of a static cylindrical section with modular structure and a lower spinner. The mass pieces-chips is accelerated by the spinner and moves following a circular path at high speed. 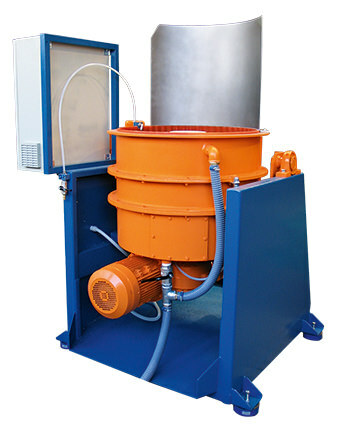 The tangential path deriving from the spinner is one of the main features of these machines.